Now a days,Whatsapp is one of the mostly used android phone text sms messaging application which has got almost 600 million users across the globe.With the increase in users,the features of Whatsapp android app are also improving By using such a big communication network,sometimes it become important for you to hide your conversation in whatsapp android app,so whatsapp android app allows you to hide your conversation easily and swiftly. In this article,we will learn that how to hide whatsapp conversation in android.By following this method,you will be able to hide conversation in whatsapp android.You can also get access to your conversation at any time by using the procedure as given below. Open whatsapp Application At the Main Menu. 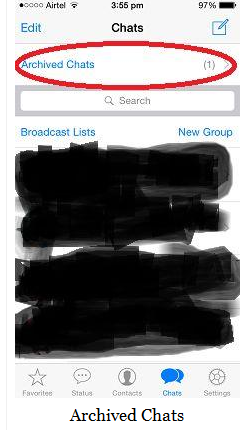 After opening Whatsapp,Swipe left in order to find the contact whose whatsapp android conversation you want to hide. Tape on more and then select Archive option. 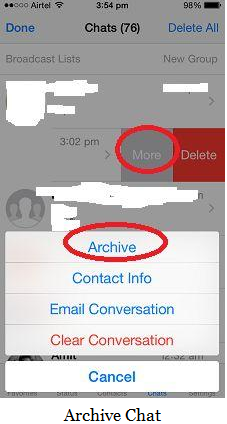 On clicking on the archive option,the conversation of the person you selected will be hidden/deleted/removed from the main conversation Whatsapp screen. 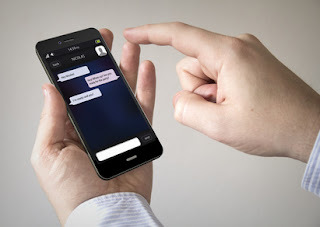 The conversation which has been hidden by you will go to archive option in hide whatsapp conversation android which can be seen by sweeping up on the conversation screen where all the conversations are present. In the same way,you can also hide group conversation in whatsapp android phone app by following the similar method we discussed here to hide conversation. In order to see your hidden chat conversation,you will have to go to Archive Chat option in Whatsapp android app.In this way,you will be able to see the group conversation of that group.